So, Part one of the RHOA reunion aired last night and I hear it was every bit of the mess I expected it to be. I haven’t even gotten to watch it yet, but you know I’m going to be back with some real feelings about it. 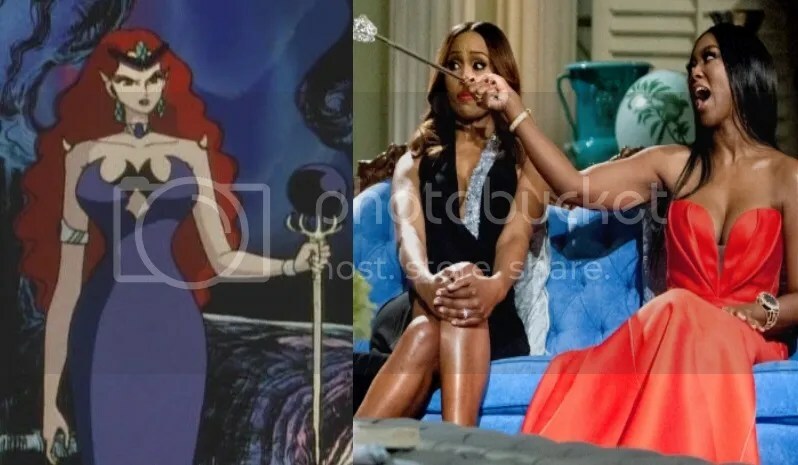 Apparently though, Kenya spent a lot of time with a plastic scepter looking like a black version of Queen Beryl from Sailor Moon. But we all know Porsha wasn’t the one about to get zapped. I also hear there was a lot of checking her on her equally as mystical African prince. Which ended in her getting clowned by the other ladies, laughing at her dating life. Word vomit happens as Kenya blurts that Porsha cheated on Kordel and like that animal scene from Mean Girls, it was ON. I’m now excited to get to my DVR and catch up in time for part two. What did you guys think? If you missed it, click the link below.